Give me a DIY stand up desk! The simplest and easiest way to start standing at your desk today is stack something on your current desk, anything from a sturdy end table to crates or books. Don’t want to go to any work of finding something to stack? Have no fear, go pull out your ironing board and place your computer on it. Boom. A DIY standing desk is what you just created. Of course the list could be endless but I will leave you with a few more DIY standing desk ideas. You could use a pub table of any kind, a dresser that you may not be using or a bookcase that is the appropriate height you need. Now before you leave the site go and subscribe! I know you want to be friends with me now that I am helping you become more of a standing person than a sitting one, so go LIKE my Facebook page! Don’t sit, stand at your desk! Have you heard of the latest; sitting at your desk is shortening your life? That is the gossip I have been hearing today. But there seems to be a simple solution and I am willing to share it. If you sit at a desk everyday, or at least Monday through Friday, you might want to consider the newest trend to stand at your desk. Think about your work day and the time you spend sitting at your desk. You might come up with roughly 80% of your time. In that time you are becoming more at risk with your health from developing diabetes, blood clots and even increasing your chances of a heart attack. So let’s get back to the simple solution, being healthier. Wait, this is not a health article it is a straightforward article to be more ergonomic and the plus side just happens to be that it benefits your health. Now think about this, would you like to be more focused, have a better mood, and increase your productivity all while burning calories and increasing your life? If you answer no to this statement, stop reading now. 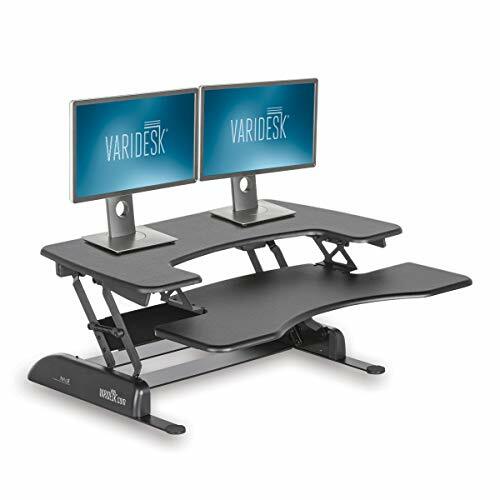 If you said yes, consider transforming your everyday sit down desk into a standing desk. Now of course companies have come to light on the trend of standing desks and it could be as simple as finding one you like and purchasing it. Or maybe you have more of the DIY personality and want to create your own. Either way anyone or everyone should be doing this. Below are some of my suggestions for buying a standing desk. You’re welcome for helping you become a healthier and more ergonomic human being. The already made and ready to order standing desks. For the best advice on standing desks and how to make a healthier you come back and visit! Make sure to subscribe.